Andreas Lesslhumer looks at Veeam’s efforts to become as renown in the physical server space as they are in the virtual one. With the Veeam Agent products for Windows and Linux, Andreas sees them making significant strides. The Windows Agent allows users to restore backups directly to Hyper-V or Azure, has source-side encryption, and full support for Windows Server 2016. Andreas gave it a spin, and so far it’s proven easy to install and as capable as you’d expect from Veeam. Andreas Lesslhumer recounts his experience at Tech Field Day last week in Austin. Overall, he found the time seemed to fly, filled with thoughtful conversations, networking with peers, and delicious Texas brisket. Plus, he got to checkoff an item from his bucket list: the delegates were driven around town in a stretch Hummer! He really enjoyed that most of the companies had trials or sandboxed versions of their solutions ready to start testing during their presentations. Overall it sounds like he had a great time in Austin. It was a pleasure to have him there too! Tech Field Day is coming up in February, and Andreas Lesslhumer is excited! He posted a preview on his blog. Andreas joined us for his first Tech Field Day in Boston last year and was “blown away” by the experience. We’re happy he’s back for another one, and can’t wait to see what he thinks of all the presenting companies this time around! Paessler’s PRTG monitoring tool is an interesting solution. Andreas Lesslhumer highlights that it’s uses aren’t just limited to network and server load monitoring, but can now also be used for virtual infrastructure. Impressively, this is done without any installed software on the monitored system. PRTG instead leverages native management interfaces. And if you’re into it, you can even monitor your network from your smartwatch, Paessler offers apps for Android Wear and Apple’s Watch OS. 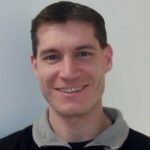 Andreas is a PernixPro and five-time vExpert (2012-2016). Currently he is working for the IT subsidiary of an Austrian banking group as a virtualization architect. During his spare time he volunteers as a VMUG Leader in Austria and blogs at Running-System.com.